HDFC bank has got all the rights to brag about itself now. It is newly crowned winner of this year’s Best Asian bank award, making it a standout among the 15 winners of 2015 Finance Asia’s country awards program. HDFC Bank was awarded with the honours for generating high growth and steady profitability as well as maintaining a low nonperforming loans ratio and high asset quality. HDFC has often been at peak amongst its private competitors in various sectors. Aditya Puri is the driving fore behind its success, is a fact which many media tycoons have placed forth us. In the 21 years that he’s been in charge, he built HDFC Bank from scratch into the second-largest bank in India’s private sector, after ICICI Bank. No wonder he is drawing the highest salary amongst all the top-notch bank chiefs. The bank has got popular with the masses because of the great deal of services it has to offer and the only major competition it receives is from ICICI. HDFC over the years has grown to being one of India’s largest financial institutions. Not just that, it has been the country’s most profitable private bank, with $85.6 billion in assets including $53 billion in loans for the fiscal year ending in March. The figures state that it is indeed well-run. “HDFC has a reputation for stringent lending standards. Net nonperforming loans were only 0.27 percent of assets for fiscal 2014, in stark contrast to most Indian peers, which are grappling with bad loans. The Mumbai-based bank boasts an impressive multiyear history of steady earnings gains, partially thanks to low-cost deposits,” states the press note. “Return on assets meanwhile are 2 percent, as high as they have been over the past decade and a half, and the bank has been delivering steady net profit growth of at least 20 percent in the past eight quarters even when economic expansion was sluggish because of a pick-up in retail credit growth,” it further adds. To come up as the Best Asian Bank, there is certain criterion upon what it needs to prove itself. Their methodology is to look at the totality of operations and management, with each country award winner further subject to a series of metrics deemed important to shareholders, regulators and borrowers. Ultimately, this award is bestowed on the bank that stands out among the country award winners. What leads HDFC to the edge in the game is that it has enough capital. They don’t seem to have much stress on their portfolio. You’ll see very less of HDFC ads around you as compared to the ICICI. The bank also has healthy margins, and it has a distribution network that’s spread across the length and breadth of the country. In remote villages too, the bank has left its mark. Above all, the technology has definitely helped the bank prosper much. 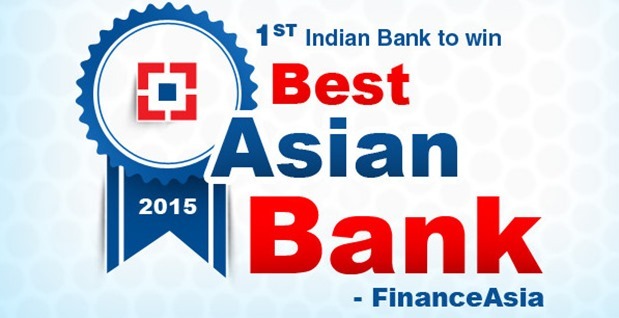 "HDFC Bank Adjudged The Best Private Bank in Asia 2015", 5 out of 5 based on 11 ratings.